There are indications from a recent study that people who stay fit and healthy are 40% less likely to develop tooth-threatening gum infections, possibly leading to gum disease. It was also found that not exercising, not keeping to a normal body weight and unhealthy habits made a person much more likely to get advanced gum disease. 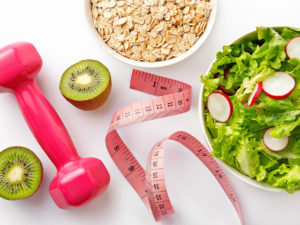 If you are serious about your general health and your teeth, you will want to exercise, eat a healthy balanced diet and keep to a normal body weight. There are also new findings that support what dental health professionals have suspected all along that infections in the mouth can cause health problems in the body. Stroke. researchers found that subjects with severe periodontitis had a 4.3-times-higher risk of cerebral ischemia than subjects with mild or without periodontitis! 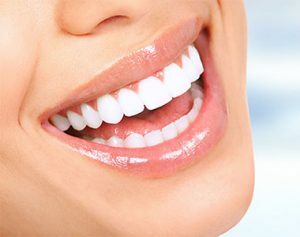 How can I keep my teeth fit & healthy? Fighting dental problems is a joint effort between you and your dental team working together. For the dental problems to be eliminated there must be motivation from both sides to focus on eliminating current problems and preventing similar future problems. Our role as Dental Health Educator is paramount in helping you prevent dental problems so that you can keep your teeth for life. Care can be provided tailored to your needs and wishes. Brush your teeth twice daily for 2 minutes with a fluoride containing toothpaste. You have to be shown how to brush for brushing to be effective. Have regular dental checks at an interval as agreed between you and your dentist. What to look out for that would indicate my teeth and gums are not healthy. Early problems are usually silent and simple to correct. If left undiagnosed, the problems multiply and compound until the teeth become loose, sensitive, crack or develop abscesses. Watch out for signs of bad breath, holes in teeth, pain on biting, unusual movement of teeth, clicking joints, unsuspected lumps or bumps, ulcers that persist, signs of tenderness or swelling or even headaches. If your gums are infected they will feel sore and swollen. Should I be watching my diet to try to keep healthy teeth? If so what should I eat? You must have a balanced diet making sure you have your daily intake of fruits and vegetables. Many people think that it is a high level of sugar in your diet that causes decay, but it is not so. It is how often you have sugar in your diet, not the total quantity of sugar that causes problems. It takes an average of 40 minutes for the mouth to neutralise the acid caused by eating and drinking sugar. It is therefore important to limit the number of attacks by restricting sugary foods and drinks to mealtimes. After consuming a meal always end by having a piece of cheese or sugar free chewing gum. This helps to neutralise the effects of acid that is present in the mouth. Avoid too many fizzy drinks and when drinking use a straw. 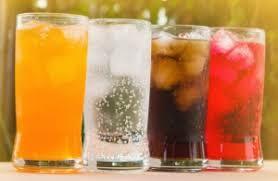 Too many fizzy drinks will cause the teeth to decay and also cause erosion of the enamel. Never consume sugary food or drink just before going to bed. This will cause harm to teeth overnight as the acid will linger in the mouth during the night causing decay. If you are consuming such food or drinks then avoid going to bed for another 40-60 minutes. Smiles @ Preventive Dental are a local dental practice for Southfields & Wimbledon, the principal dentist, Dr Morris Weinstein has a passion for working with the local people to help them prevent dental disease. The mantra of the practice is to offer quality care and exceptional personal service at all times.